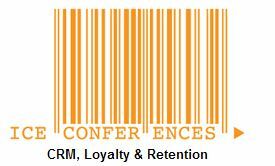 The Annual Online Gambling CRM & Retention Conference is the pinnacle of the industry’s Player Development professionals. In no other place you can find top experts talking freely about trends, case studies, KPIs and generally – everything that interest us on our daily routine. Mr. Attias, the CEO & Founder of Hybrid Interaction, the premier iGaming consulting firm, returns as the chairman of this day-long event, and much like as in previous times (check out the detailed summary), you can expect constant updates, practical jokes questions and a thorough reviews the week after. “We are delighted to have Shahar again on our stage”, says Silvia Peneva from Clarion, the company behind iCE Totally Gaming. “With so many interesting topics and key experts on the panels, you can be sure that Shahar will ask the in-depth questions everyone would like to be answered and moderate the discussions – much like this blog – with his known practical and cynical approach”. This packed day will take place on Tuesday, February 4th, at the Platinum Suite in the main Boulevard of the ExCel Centre in London (PLEASE NOTE: although the tickets early bird rate has ended, please feel free to contact us for discounted prices!). Kicking off the day with the futuristic “CRM 2020”, this panel is bound to raise some intriguing debates, which is exactly what you can expect through the rest of the program as well, with speakers from bwin.party, TotelFootball, Veikkaus, Ray, BT, The Cherry Group, Ladbrokes, Betfuze and more. For the complete agenda, please Click Here. Through FEB 4-8, we will constantly update you with new pictures and CRM friendly content on this blog and via our @iGamingCRM twitter handle (no Facebook – we are grownups). On top, during the CRM track Shahar Attias will send a 140 characters summary of each and every session – so be sure to register and monitor the activity.